*Click Virtual Media Link for VIDEO** Backs to greenspace, which adjoins golf course. 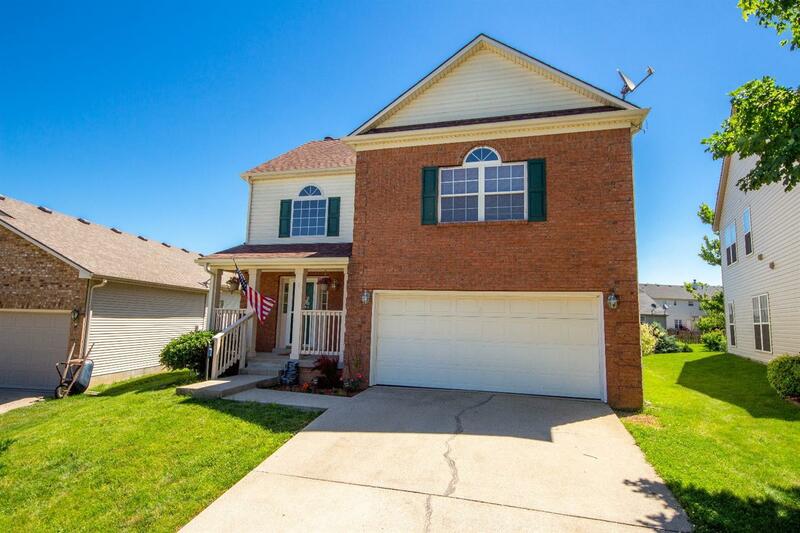 Move-in ready home w/ full unfinished basement! You're sure to love the spacious feeling as you enter into the 2 story foyer and great room with gorgeous Brazilian Cherry hardwood flooring accented with a fireplace and plenty of natural light. Formal dining area is just off of great room and next to the fully stocked kitchen that includes stainless appliances and a pantry. For your dining options, there's also a breakfast area just off the kitchen. First floor master suite boasts Brazilian Cherry hardwood floors as well as a door to the back deck. Master bath has a soaking tub, dual sink vanity, and stall shower. Upstairs you'll find 2 guest bedrooms, full guest bathroom, and a bonus room that would make a perfect play room or home office. Possibilities are endless with the full, unfinished basement! Other features include zoned heat and air, tray ceiling in dining room, covered front porch, and more.